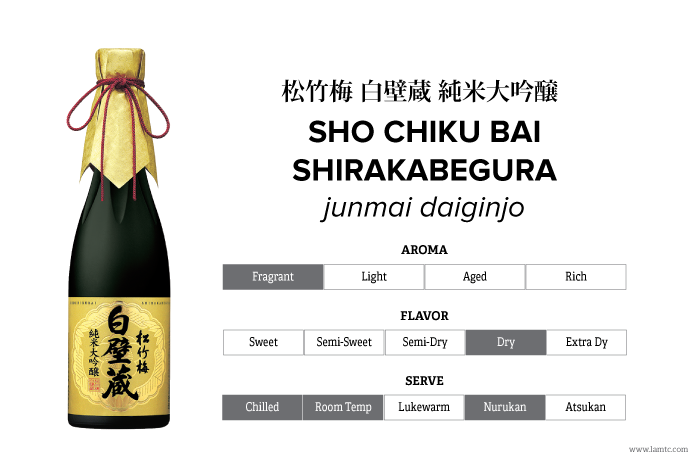 Shirakabegura Junmai Daiginjo is made with Yamadashinishiki rice from Hyogo prefecture. It has full-body with a hint of sweetness and smooth, velvety texture on the palate. This Sake has subtle aromas of pear, melon, banana and petrichor, with flavors of vanilla, melon, banana and white mushroom. 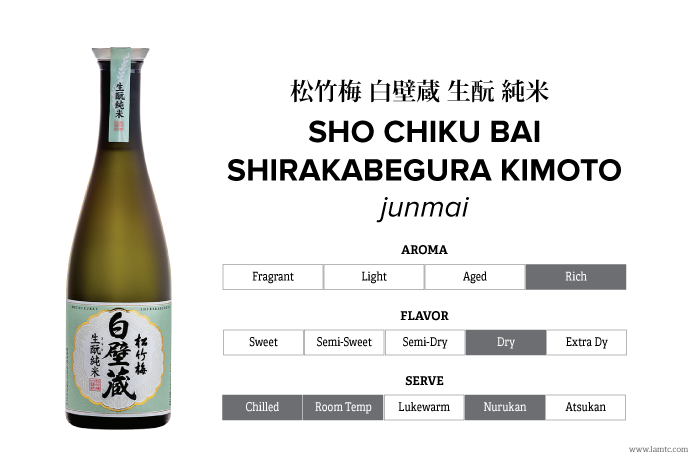 Shirakabegura Kimoto Junmai is crafted using kimoto process, the most traditional and hands-on process of creating a Sake starter. It has a robust body with varying flavor profiles – earthy aroma with apple, creamy cheese, and spice flavors when warmed; light, delicate aromas of vanilla, flowers, stone fruit, melon and sweet milk when served chilled.